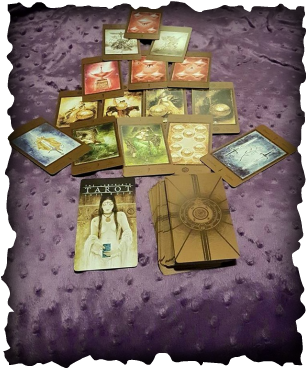 The Labyrinth deck taps into the Divine Feminine and Goddess energy. It gives a clear reading of the feminine energy in and around your life. 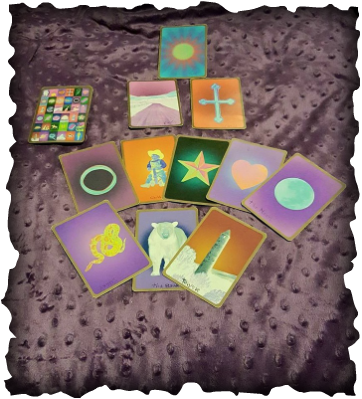 This is used to detail how feminine energy manifests in your life and gives symbolic imagery through the cards. It will aid you in answering those questions about relationships and matters of the heart as well as what your spirit guides have to say in manners of money and health. please limit your number of questions to a maximum of 4. These are Alexandar's card of expertise. You can ask any kind of question or advice from your Ancestors and Spirits. 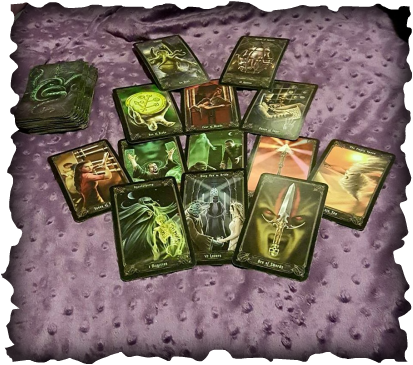 This deck will answer all questions regarding Love, Wealth, Health, Hidden Enemies, Psychic Attacks and more. Madame Le Normand was the Clairvoyant to Napoleon Bonaparte. She Counseled him not to leave Josephine because everything would go downhill in his life from that very moment and as history recorded it, she was right. These deck is a Modern interpretation of the Cards that she used. These Cards are easier to understand for the reader but also easier to interpret and can be very accurate in most cases. These cards can answer matters of the heart, business, rivalries and grant you with solutions or show you the "what ifs" and the "don't dos" in your life. What you do with the information provided is between you and yourself. Traditionally speaking, this is an old Spanish deck that was brought over by the Moors (considered the most knowledgeable of ancient peoples) in the 14th century. 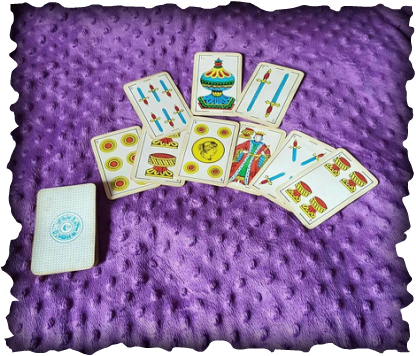 The card suits visually, resemble Italian cards and Tarots decks. So this was a deck that used to also be used for playing, like the italian tarocchi also was. It is the most widely used card in the occult Latin-American cultures. Still popular to this day in Spain. 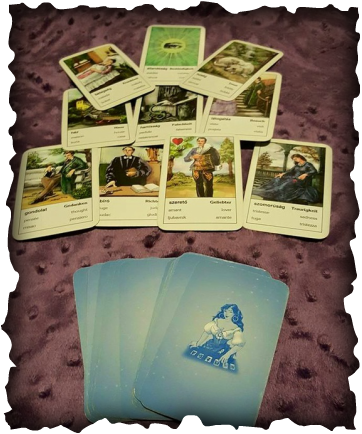 As with all readings, the form and shape of laying the cards down vary from reader to reader, and is a part of its unique history. This deck has a lot of subtle social advises and warnings, useful and point on, like a Romanian grandmother.